Saratoga Jewish Community Arts, with generous grants from The Jewish Federation of Northeastern New York and the Golub Corporation, present the five- part program Judaism and the Mysteries of Life, Death, and the World Beyond with Scholar-in-Residence Reb Simcha Raphael, PhD., will be held Friday– Sunday, November 2-4. Each session topic and location is separate. This weekend series is a collaboration among Congregation Shaara Tfille, Skidmore Office of Jewish Student Life and Temple Sinai of Saratoga Springs, Congregation Beth Shalom of Clifton Park, and Congregation Beth El of Bennington, Vermont, as hosts for this weekend of learning. The community is invited to any one or all of the sessions. JCA is grateful for the support of the underwriters of this weekend Shabbaton. Those who have made this possible include Burke Funeral Home, Levine Funeral Home, Lebrake Monuments, Loiselle Memorials, Daughters of Sarah Senior Community and Nursing Home, Albany Jewish Community Center, Schenectady Jewish Community Center, Bread and Torah, Skidmore Office for Jewish Student Life, and Saratoga Jewish Community Arts. We welcome Reb Simcha of Philadelphia to our communities for this Shabbat programming. He is the founding director of DA’AT Institute for Death Awareness, Advocacy and Training. Reb Simcha is Adjunct Professor in Religion at LaSalle University, and is in private practice as a psychotherapist and spiritual director in Philadelphia. 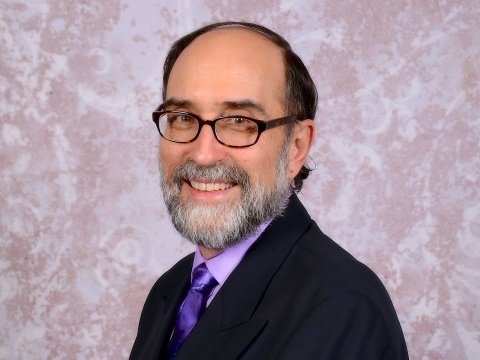 Ordained by Rabbi Zalman Schacter-Shalomi as a Rabbinic Pastor, he is a member of the Rabbis Without Borders Network and author of Jewish Views of the Afterlife. This presentation explores deathbed tales at the end of Genesis describing how Jacob and Joseph were “gathered to their ancestors.” We shall discover the wisdom Torah provides for dealing consciously with end-of-life issues in our times and discover Judaism’s wisdom for responding to death and loss with both compassion and unadorned honesty. This week’s parasha highlights Abraham buying the Cave of Machpelah for Sarah’s burial. Our dvar Torah shall explore the importance of sacred burial in Jewish tradition, and the connection of the traditional burial of our Biblical ancestors at Machpelah, the burial of both Joseph’s Bones in the land of Canaan, and the consecration of our own community cemetery. Does Judaism believe in the afterlife? Unequivocally, the answer is yes! However, today many are unaware of traditional Jewish wisdom on life after death. This presentation explores Judaism’s afterlife teachings, particularly in Jewish mysticism. We endeavor to understand the relevance of these teachings in dealing with the human encounter with death. As darkness descends, the crack between the worlds becomes apparent. Through the story-telling traditions of Jewish folk religion, we shall enter the invisible worlds populated by ghosts, lost souls, haunting spirits, dybbukim, and heavenly angelic guides. Through story-telling, study of mystical Jewish texts, and discussion, we shall learn about little known Jewish teachings on life after death. Even though Halloween has passed, feel free to come in your favorite “death mask” costume. Copyright © 2019 Temple Sinai. All rights reserved.